Use of solar energy on earth started when our great ancestors Adam and Eve landed on earth. If it all it came later it was no more than six months later than their arrival, that is, in case they arrived in summer. We are very sure they were not issued with blankets or any winter uniform before dispatch, and hence, sun was the only source of warmth for them. Mahabharata, a Sanskrit book, is said to have described use of solar cookers as early as 10000 BC. The story of Archimedes having repulsed a naval attack by an enemy on his native island using concentrated solar heat (CSP?) in 212 BC is widely quoted. Why we do not read special mention of solar energy being used is because solar energy is ubiquitous and naturally present. Use for industrial purposes came with development of machines. For example, Swiss scientist Horace de Saussure Antoine built the first solar collector. Lavoisier used solar heat to melt Platinum in 1774 at 3222°F, or 1772°C. In 1878, Augustin Mouche exhibited a steam engine pumping water. A patent was requested by Robert Stirling (with an ‘i’ instead of ‘e’) applied for a patent for his heat engine. In 1891, Clarence Kemp was able to offer a batch solar water heater for $ 25. 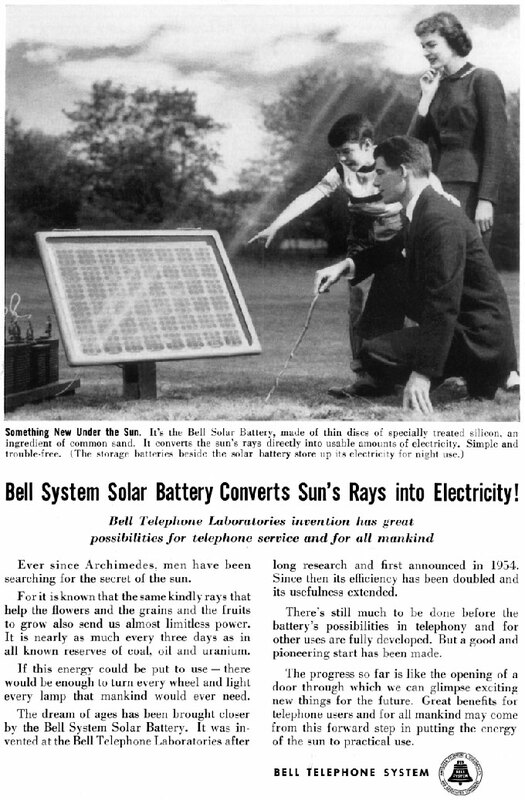 In 1909 William Bailey invented the first flat plate solar concentrator in 1909. Solar systems for water heating, and space warming became popular. However, starting 1920, the discovery of gas ended that era of reliance on solar energy. Fossil fuel was available in plenty. The electricity for air conditioning and all industry was provided by cheap fossil fuel, of which plenty was available in USA and a very large amount in the Middle-East. Then came the Arab-Israeli war followed by an oil embargo in 1973, and a second embargo in 1979. That changed world thinking energy. Incentives were offered for Alternate energy. But by about 1986, people, especially in USA, forgot about the oil problem. DOE R&D cut its R&D budget for renewable energy by 80% and brought progress to our solar energy history to pause. Middle East was more stable, and supplies were coming in, and increasing. By 2005, USA was importing 60% of its oil consumption. And then there was a policy rethink, not as much on economic grounds as on political fears. 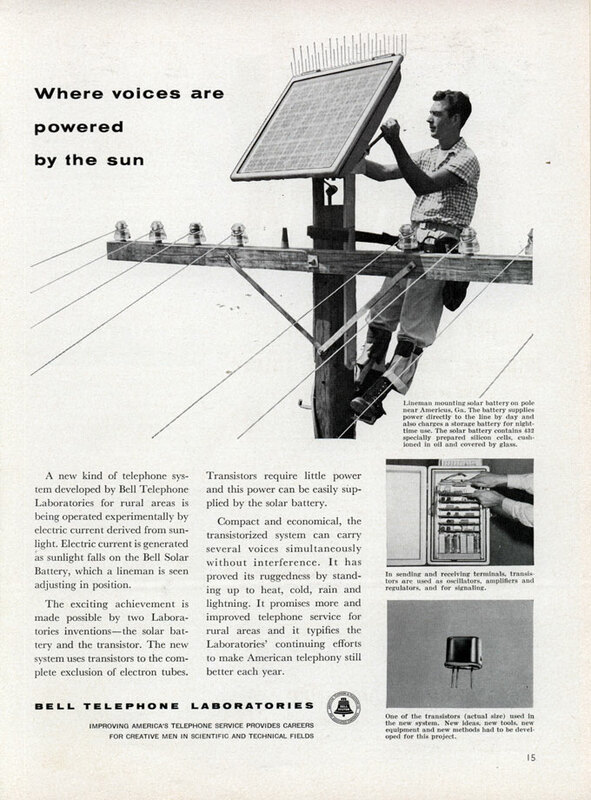 Among various forms of alternate energy, solar energy, especially PV was to be promoted. US reinstated the Federal Tax credit schemes and continues to modify and extend them. Currently they are valid till 2016. In parallel with, photovoltaic energy took birth and grew to adulthood. Photovoltaic effect was discovered by Edmond Becquerel in 1839. The first solar cell made of selenium was described by Charles Fritts in 1883. Einstein’s paper on photoelectric effect came in 1905. The first single crystal silicon cell was grown in 1918. PV was born in the US in 1953 when Calvin Fuller, Gerald Pearson, and Daryl Chapin, made the first practical solar cell. Solar cells were used for powering devices in space vehicles. Cheaper solar cells became available in the seventies bring the cost to about $20 per watt. The use of solar cells gradually increased till the end of the 20th century but did not enter the households. It was mostly confined to remote unattended locations. PV entered the households of Europe, especially Germany and Australia in the first decade of 21st century, and of USA a few years later as a result of government incentives to push for clean energy. Distributed PV has now taken root, and the rebates and incentives are being reduced or abolished in the developed countries. Developing countries still need incentives to go solar. Do you think Jinns, who preceded humans on earth, may have been using solar heat to recharge themselves?